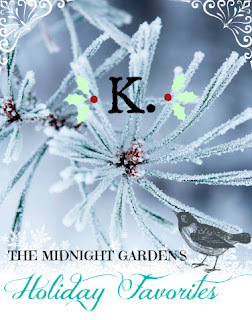 We, The Midnight Garden, would like to wish our friends a very Merry, a very Happy Christmas! We hope you are all having a lovely holiday filled with cheer and good reading. We thought it would be nice to share with you some of our holiday favorites. Those beloved books we enjoy during this time of year. These are stories we cherish, stories that fill us with the holiday spirit…and we hope they will do the same for you. For me, Christmas is a time of comfort and familiarity. It’s a time to enjoy home and family and I find myself reading books that give me the same feeling. These are books I come back to time and time again because they are stories that always welcome me and nestle me. And I don’t think there is a sweeter feeling than reading in soft light, cozied under blankets and being lulled to sleep by a warm story. This is my childhood. Anytime but especially during this time, I like to flip through its pages and read some of my favorite chapters. I am instantly both calm and giddy. This series is the ultimate of fun and nostalgic reads. Another childhood classic. A story about family and friendship, love and healing. This is a tale of restoration and the beautiful growth in each of the characters leaves nothing but a flowering hope in its readers. Also, if you have not seen the film adaptation directed by Agnieszka Holland, you are literally missing out on cinematic magic. I tend to read Classics during this time of year. I don’t know why but there is something about these books— the lifestyle, the language, whatever it may be — that just seems familiar to me. They are poetic and they speak to me in a way I don’t find in contemporary novels. These are words I snuggle in and though it is in no way related to Christmas, it is still a book that makes my heart smile. This is a delightful, delicious, little Christmas book. It is so much fun that it makes me want to put on my coat, wrap up my scarf and have an adventure in my city. I love books that compel me to venture out into the world, making me long for wonder and excitement, making my blood giddy with expectation. These are what I tend to read during the holidays. Christmas makes me crave stories about home and reading each of these books make me feel home. So while they don’t all focus on the holiday itself, they nonetheless fill me with a rejuvenation, a happiness and a reminder of all the things we generally remember during this special time of year. Don‘t forget to let us know your holiday favorites! AIAAAIIIIIEEEEEEEE! HARRY! HARRY! HARRY! HARRY! HARRY! HARRY! HARRY! HARRY! HARRY! I need to read the last of your books, I heard great things about it. That film adaptation of The Secret Garden was quite possibly my favorite movie as a kid. Awww, love this list. All of these books are all-time favorites, except for Dash & Lily’s, which I just read and did enjoy, but don’t know if I would read again. Thanks, Tonya. Can’t wait to read yours! Dash and Lily are the cutest! And HP is really all year round but you’re right about there being something special about Xmas. I still haven’t read Dash and Lily’s Book of Dares so I need to give that a try. The cover is so cute and definitely looks like something that would be a good winter read. Welcome back! Dash and Lily is just quick and fun and sweet. Like a treat! I love the Secret Garden ( film) and Pride and Prejudice too…both versions of them. I also enjoy all of the Harry Potters….made sure my kids have the books and movies . 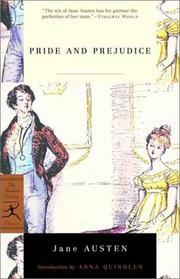 Pride & Prejudice is *perfect* for this time of year…and now I think I’ll be cracking open my copy this week :) Great list! I’m glad you think so, Jackie. I was worried people might find it a bit weird to be under Holiday Favorites, haha! Harry Potter and The Secret Garden! That was my ultimate goal. I agree with Wendy. 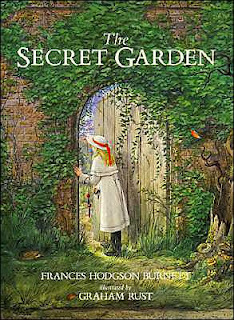 I loved the movie adaptation of The Secret Garden. I wish more people (especially children) saw it. I’m trying to find a few holiday themed books and novellas to read this week. Dash & Lily’s Book of Dares was adorable. Me too, Karen. I haven’t read many Christmas-themed books. If you find any good ones…let me know! THAT IS MY FAVORITE FILM ADAPTATION EVER. The Secret Garden by Agnieszka Holland, that is. I watch it every spring and I listen to the soundtrack all the time! And that little girl has the most perfect diction. With most things I usually have a multi-favourite…but movies? It’s The Secret Garden. It’s m.a.g.i.c. People like to rope it together with THE LITTLE PRINCESS version that came out around the same time, but while I liked it, I don’t think it had the same depth of understanding and feeling that TSG film did. It was utterly gorgeous. Have you ever seen the musical, btw? It takes a lot of liberties, but I loved it, too! Colin’s mother literally haunts them, in a wistful, gothic way. Also a really beautiful soundtrack. Haha, I have The Little Princess and I love it. It’s also very much a part of my growing up. Though I most definitely agree that it is not equal to The Secret Garden. That movie is just beyond all others. Oh, please please see the musical–it’s actually quite beautiful. Mandy Patinkin starred in the Broadway version, he does an amazing Archibald Craven! It captures the sadness and longing and spirit of discovery of the book quite well. I gotta try Dash and Lily. Great list!! HP is a definite!! 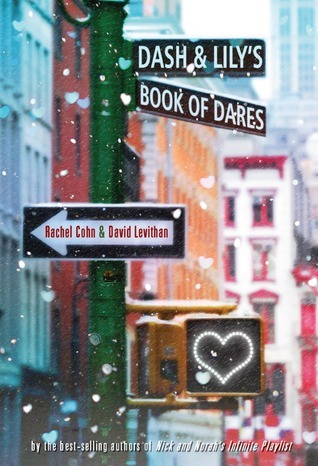 I just listened to the audiobook of Dash and Lily’s Book of Dares and loved it too!!! I need a paperback copy of the book. It’s so quotable!! I love The Secret Garden too. It’s just the best, isn’t it Savannah? Great list! I absolutely love to enjoy the Harry Potter series at the holidays. Thank you for sharing!